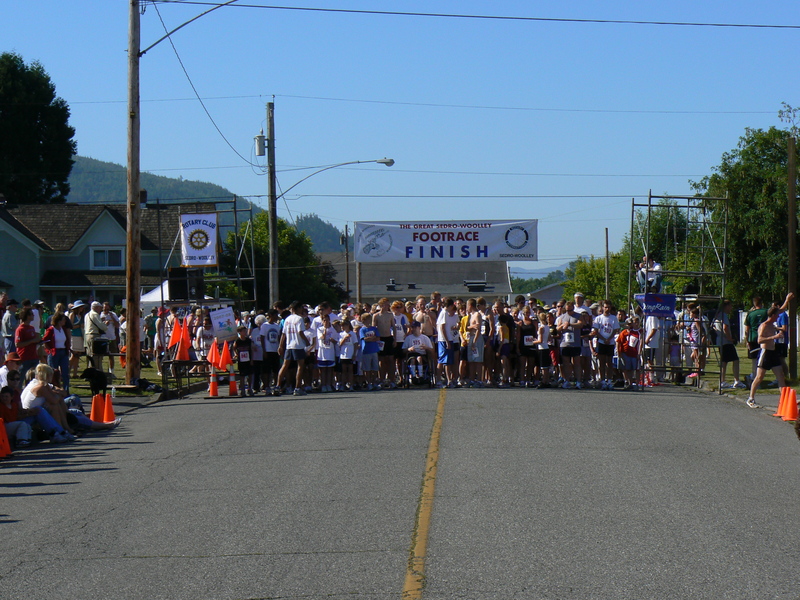 Welcome to the Great Sedro-Woolley Footrace! Come and enjoy an accurately-measured and well-policed course that begins and ends over the route of the 4th of July Loggerodeo Parade. The race will begin at 9:30AM sharp while the parade starts at 11AM. 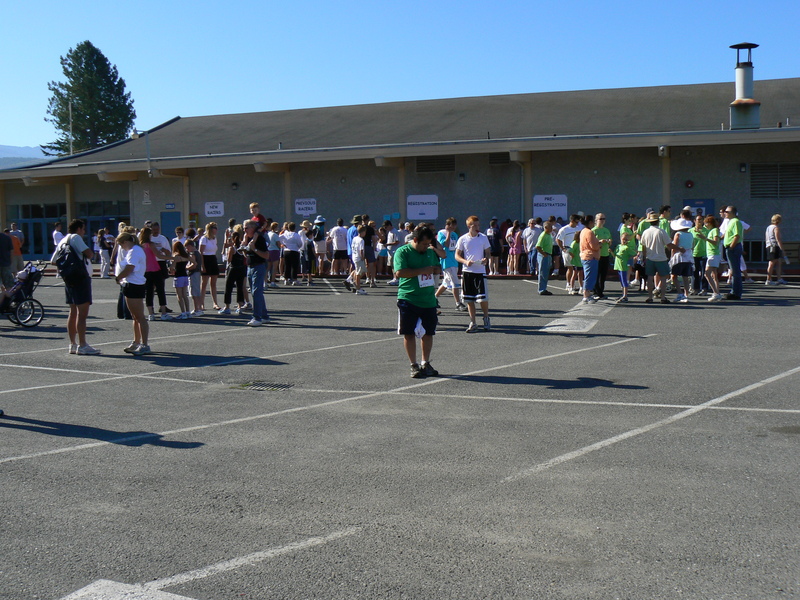 The middle section of the 5.17-mile race is run along the Skagit River. The 2-mile course goes to the 1-mile turnaround and returns to the start/finish line. Water will be available on the course and refreshments are available at the finish. 7:30 – 9:15 am at Sedro-Woolley High School gym. Recommend checking in or registering prior to 8:45 to avoid the last minute rush. Ages 14 and under, and 70 and over are free (t-shirt not included), but must register day-of-race and receive a race number. Or mail in entry form here by July 2, 2018 to purchase a t-shirt for $10.00. Three deep in each division of both races receive a recognition award.